I recently did some work for Capt. Peter Babb who guides out of the 10,000 Islands and Everglades National Park. 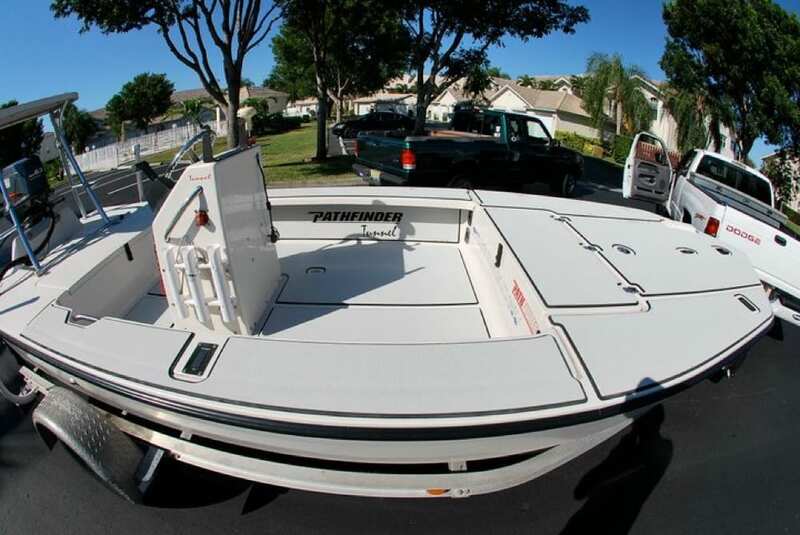 Peter runs this 17T Pathfinder for low water and sight fishing. 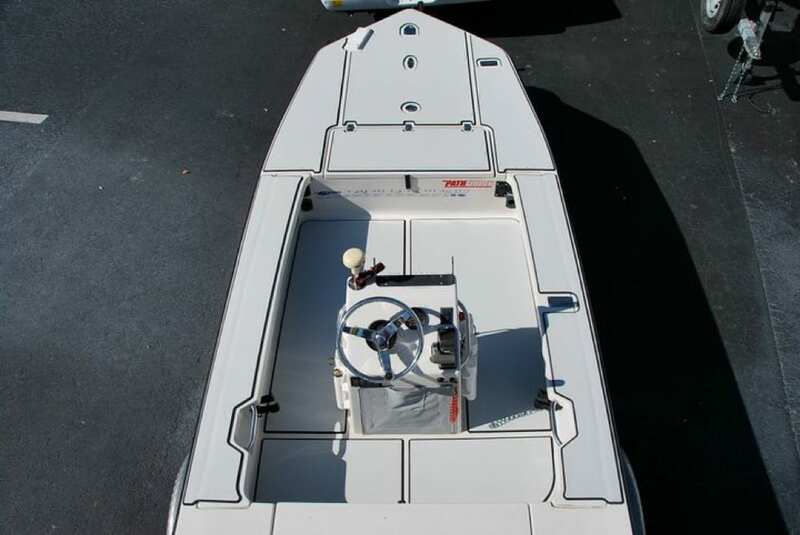 Although Maverick Boat Company doesn’t build this particular flats boat anymore, they have a cult following by those who fish out of them. Peter also runs a Maverick 21 Master Angler. The boat had been used and fished hard so it was starting to show some signs of aging and needed a little face lift. 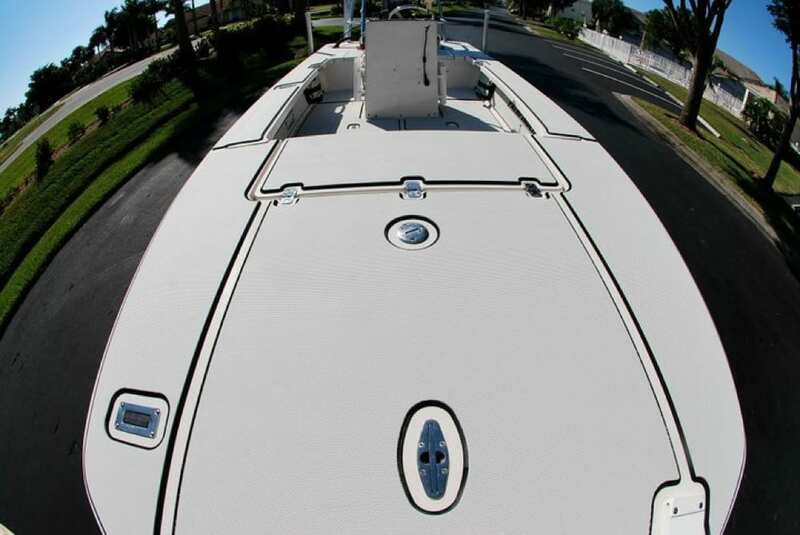 Castaway Customs deals with many customers who are looking to take an old boat and make it look new again. 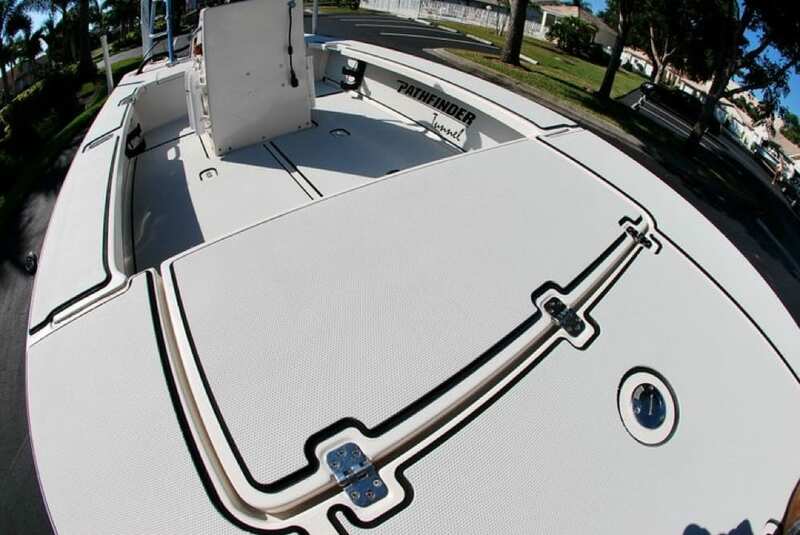 SeaDek is a great product to not only enhance the look of your boat, but also add comfort and traction. For standard two tone decks we mostly use 6mm foam, but we were looking to get a little extra comfort so we stepped it up and went with an 8mm two tone of Cool Gray over Black. This color combination is a favorite among customers and really pops nicely with the black border. 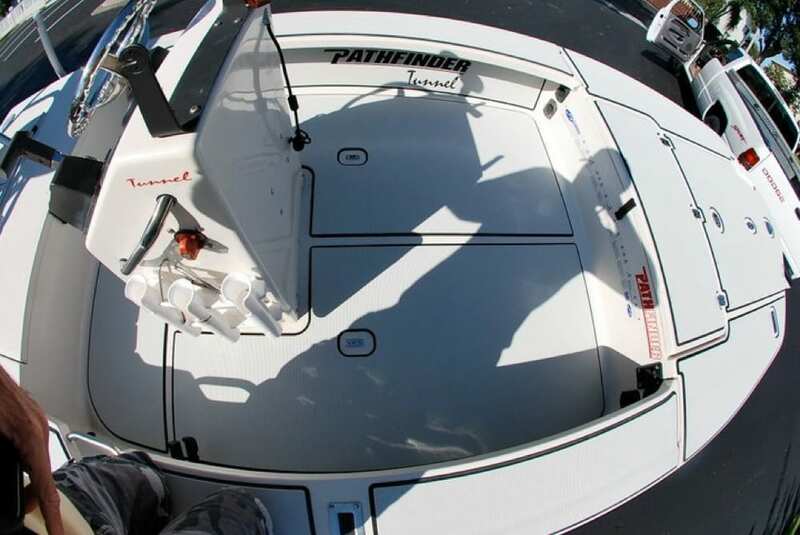 The customer decided to cover the areas of the boat that get the most traffic and we also added the undergunnel pads for reel protection and threw in the Pathfinder Tunnel logo to give it that custom touch. If you need any custom SeaDek work done to your 17T Pathfinder or any of the Maverick Boat Company products feel free to contact me at info@castawaycustoms.com.